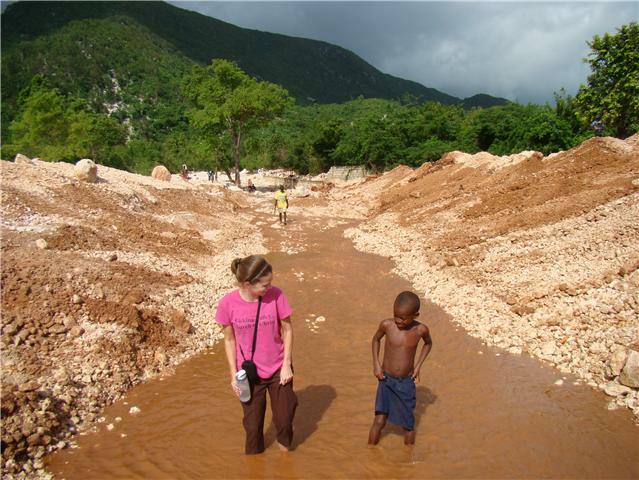 Ginny in Haiti: She's home SWEET home! It's Mita, the slave child who was here in Port au Prince. She just happened to be from the village I was working in outside of Jacmel and once her parents heard about how she was being treated, they found her and she is home! I went to their house out in the village on Saturday. Mita was helping with house chores, but so was everyone in the family and Mita was working with a good attitude and cheerfulness. She gave David and I big hugs and said she was so happy to be home. She said she never wanted to step foot in Port au Prince again. David and I are writing an information session for parents who live out in the villages on slave children. Most of these parents send their children to live with other parents in Port au Prince thinking they will be sent to school and fed and treated right, but this rarely is the case. We feel that if the parents out in the villages were educated about the restavek system, they won't send their kids into the hands of slavery. Mita's parents are willing to speak at the information session to tell their story to other Haitians and hopefully keep other children in that area from suffering as a slave children. I think their smiles in the pictures says it all! I am still smiling.